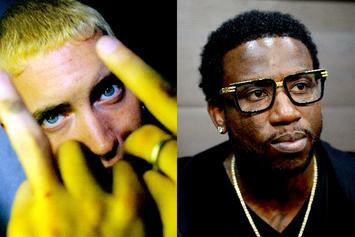 In light of Gucci Mane's desire to "handle" Eminem back in 2009, one has to wonder what a beef might have looked like. 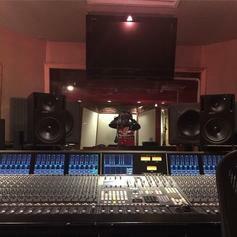 DJ Kay Slay drops off a new posse cut titled "I Love The Game" featuring Papoose and Trick Trick. 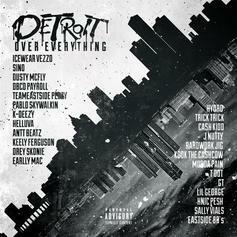 Eminem rounds up some of his city's best for the "Detroit Vs. Everybody" video. 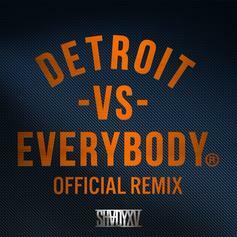 Shady Records drops an official "Detroit Vs. Everybody" remix helmed by Trick Trick. 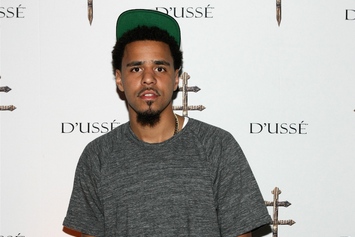 Trick-Trick Suggests Banning J. Cole From Detroit Following Eminem "Diss"
Trick-Trick threatens to "lock the gate" on J. Cole after the rapper mentioned Eminem in a negative light on "Fire Squad". 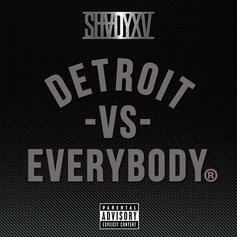 Eminem rounds up his hometown homies for his latest record "Detroit Vs. Everybody". 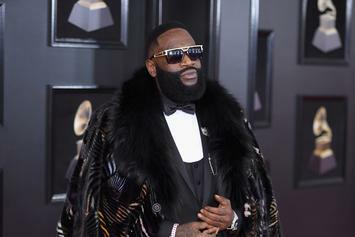 Trick Trick insists that the opposition Rick Ross' performance was non-violent, but argues that the issue is between him and the MMG boss. 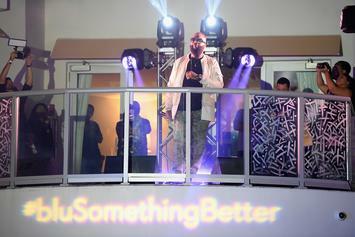 Rick Ross was scheduled to headline Detroit radio station HOT 107.5′s Summer Jamz 17 last night, but he didn't perform due to a hundred person mob that blocked him from entering the venue. 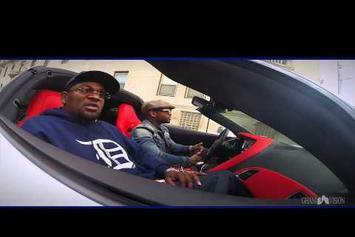 Watch the new video for Trick-Trick and Reggie Bo's "It's A Wrap." 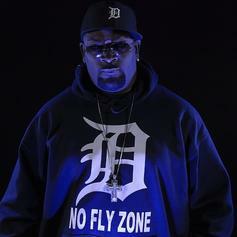 Trick-Trick releases the video to his mixtape single "No Fly Zone." 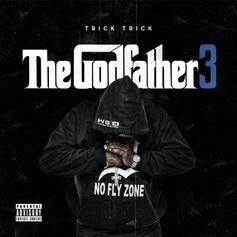 Trick-Trick drops "The Godfather 3" mixtape. Trick-Trick recruits Kurupt, Trae Tha Truth and J.Drew for "That's Gangsta". 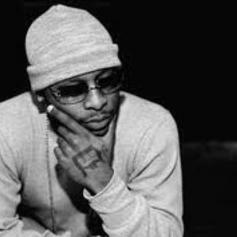 Trick-Trick recruits Royce Da 5'9" and K Young for "No Fly Zone". Check out D-12 Feat. 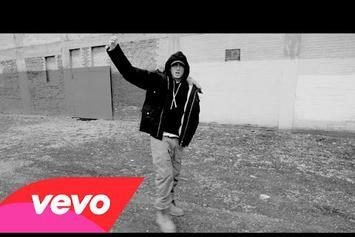 Trick Trick "I Made It" Video, the latest video from D-12, released on Wednesday, March 30th, 2011. D-12's chances in this game are improving with each new release, and D-12 Feat. 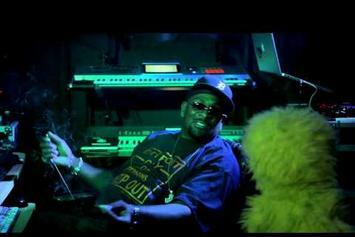 Trick Trick "I Made It" Video is no exception - quite the opposite, in fact. It's a nice addition to the impressive catalogue D-12 has been building over the years. We're definitely anticipating the next move. 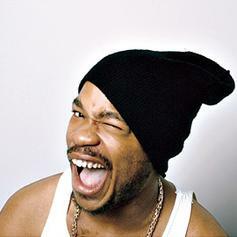 Give Ugly a listen - it's a new offering from Xzibit, featuring Trick Trick, Jay Rock N Bad Lucc. It was dropped on Thursday, November 4th, 2010. Give Highest Form Of Understanding a listen - it's a new offering from Xzibit, featuring Trick Trick. It was dropped on Wednesday, September 15th, 2010. 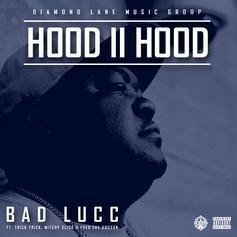 Check out Stuntin' While Shinin', the latest from Birdman which features a guest appearance from Trick Trick on the. 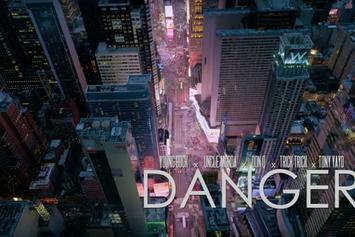 The track was released on Saturday, April 17th, 2010. 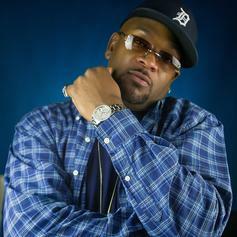 Stream Gangsta, the newest drop from Royce Da 5'9" which features Trick Trick. The cut was released on Saturday, December 12th, 2009.